Mental Health affects everyone; mental health issues affect about 80% of people in one way or another. Chances are you know someone who is or has dealt with mental illness and recovery, or know of someone who is going through the process of dealing with some sort of anxiety, depression, addiction or eating disorder. 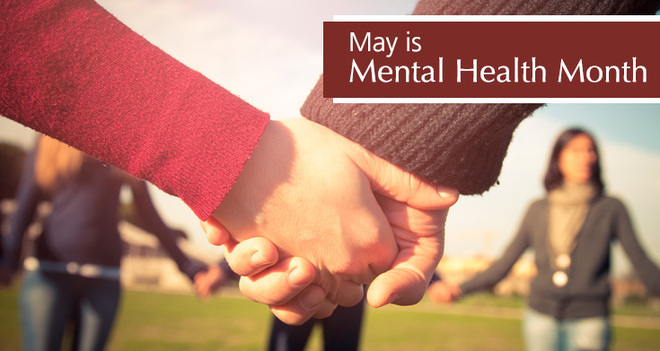 This year Mental Health America has made their theme Pathways to Wellness, which sheds light on key points that we at Rogers Memorial Hospital would like to pass along. Wellness is essential to living a full and productive life. One must develop and maintain a set of skills and strategies to prevent the onset of or shorten the duration of illness, while promoting recovery and well-being. Being well is more than just being free of disease, it is understanding how, when and why to seek help and willing to fight things like stigma. Things that can assist in building balance and overall wellness are diet, exercise, plenty of sleep, a healthy self-image, and the development of coping skills that promote resiliency. Each of us goes through stressful times in our lives, and the development of good coping skills allows us to maintain mental health in the face of sometimes overwhelming stress. Wellness involves a complete and general well-being. It’s really a balance of emotional, physical, spiritual, and mental health. Being willing to take good care of one’s mental health means taking stock of feelings, emotions, stress levels, and coping mechanisms, even getting screened just as you would for various physical illness’. One must fully embrace wellness to improve the mind, body, and spirit, in order to maximize the potential for a person to lead and full and productive life. Wellness will also lead to prevention of mental health conditions, substance use conditions and promote societal features like greater academic achievement by our children, a more productive economy, and a solid family structure.